Foraying into the realm of skin care, Scentials Beautycare and Wellness Pvt. 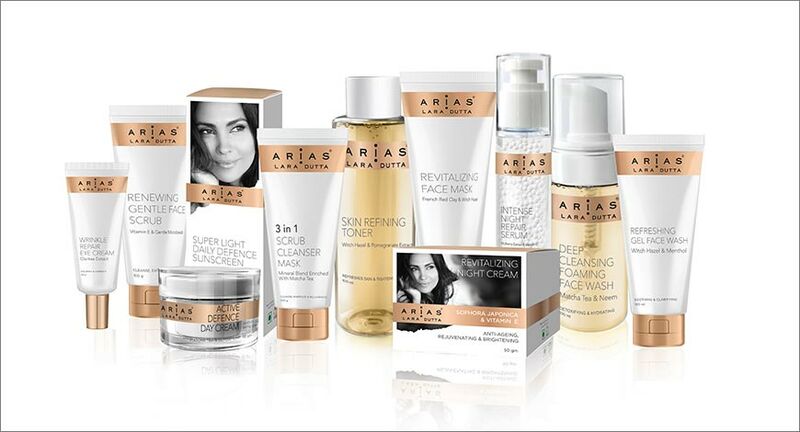 Ltd. has announced the launch and unveiling of the skin care range – Arias, crafted by former Miss Universe and Bollywood actress, Lara Dutta. Arias is a complete skin care brand catering to the various skincare needs of women. The brand is a culmination of Lara’s rich experiences as an actress, model, mother and an entrepreneur. In a segment that has predominantly been ruled by fairness products, Arias comes as a welcome respite with its range of products catering to all skin types instead of conforming to the stereotypes. Driven by her rich experience spanning over two decades, the brand is Lara’s strife towards making the modern-day woman realize that they should prioritise skin care and embrace their true beauty.